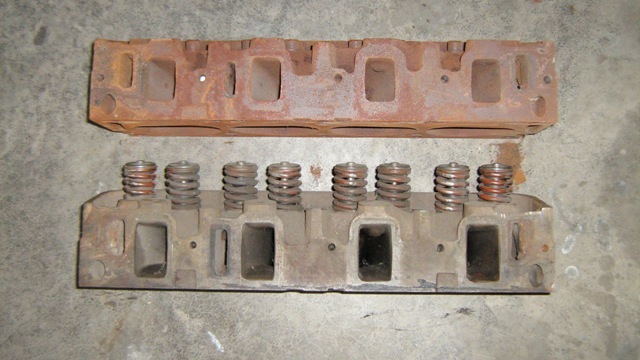 These are the cylinder heads used on 1968 Shelbys. 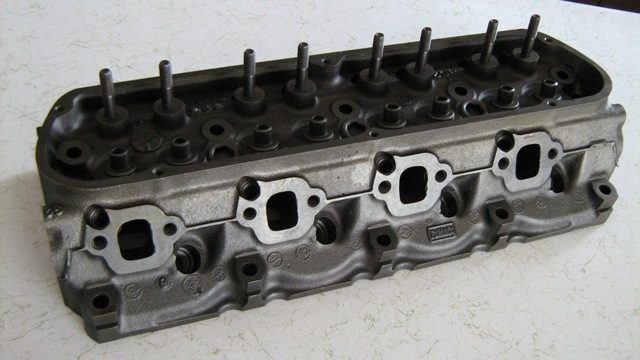 Many Shelbys use standard Mustang cylinder heads. 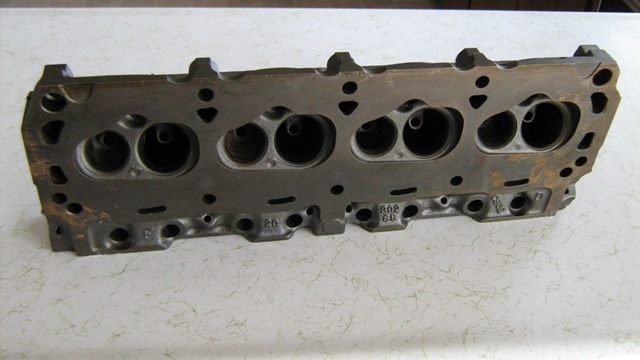 For this reason, these cylinder heads are still very plentiful. All Shelby GT500 KRs used the cylinder heads identified C80E-6090-N . The ID number is located in the center of the head next to the FoMoCo logo. 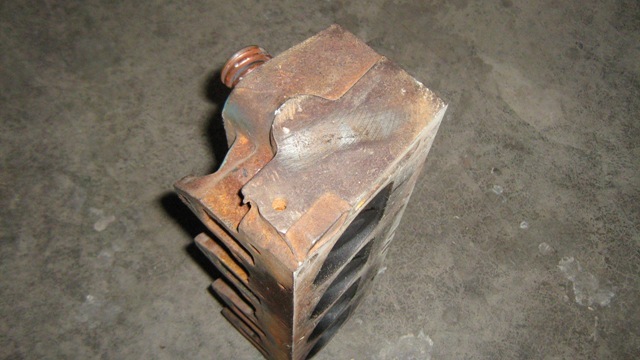 A partial serial number is usually located on the rear face of the driver's side cylinder head. All 428 Cobra Jet heads have provisions for thermactor emmissions control (smog). These areas are marked in green in the photo. 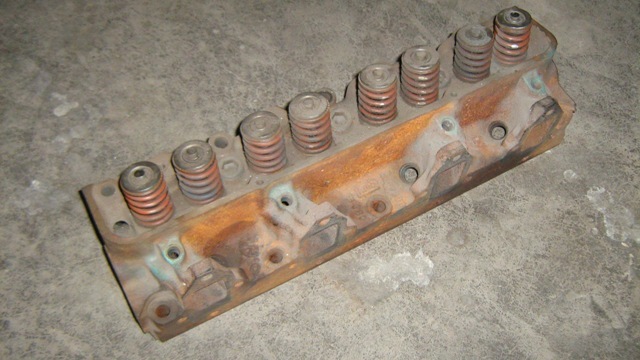 The GT500 cars used the cylinder head identified "C8AE-6090-H". These heads also have the provisions for the thermactor emmisions system. The 428 PI head will also have a partial serial number. If you find a set of these heads without the emmision control ports they are likely from a 390 engine. In this photo you can see the difference in the intake ports of the two big block heads. The upper cylinder head is the standard 428 Police Interceptor. The lower head is the 428 Cobra Jet. The Cobra Jet head is a high performance version of the PI head. The GT350 cars used two different cylinder heads. Automatic transmission cars used a standard Mustang 302, 4 barrel head. This head is a non-emmision head. The 4 speed cars used a similar C8OE head, with emmision control ports. You can see the ports here. They are the round circles above each square exhaust port.